Comfortable elegance: these divinely soft, opaque tights not only add a shiny accent to every look with their delicate sheen, but the dainty vertical zigzags also make legs look longer. 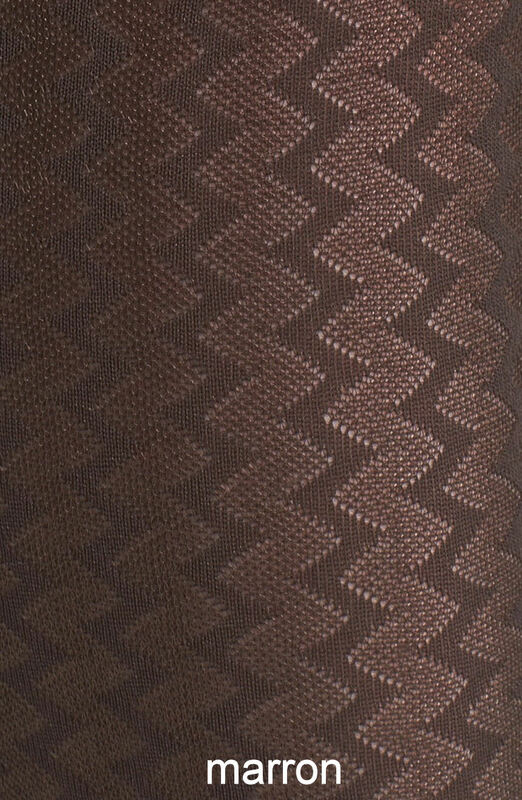 Zigzag soft opaque knit. Subtle sheen ideal for more formal occasions. Knit waist. Reinforced toe. 50 den. Material : 95% polyamid, 5% elastane.